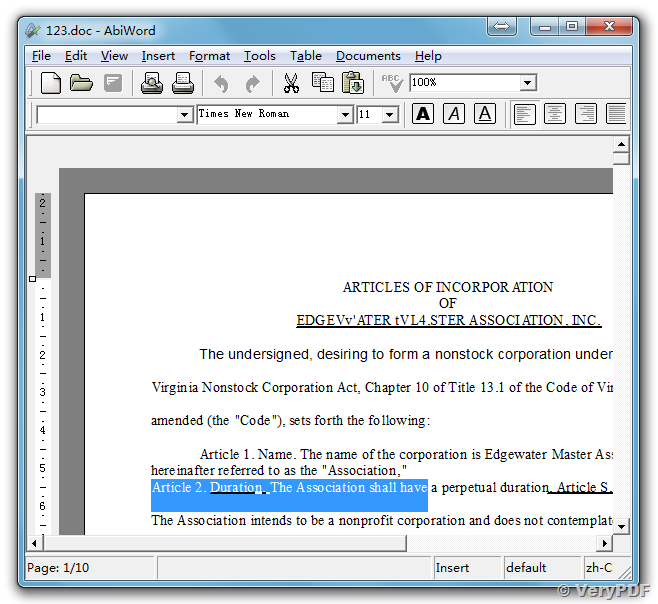 conversion to JPG without any borders, that is, there are no margins around the text. When I try running from the directory where the input file is located, there is no conversion and the help screen is displayed. The results are the same when I try to apply a full path to the input and output files. Which parameters should I use to duplicate the GUI conversion which works very well. 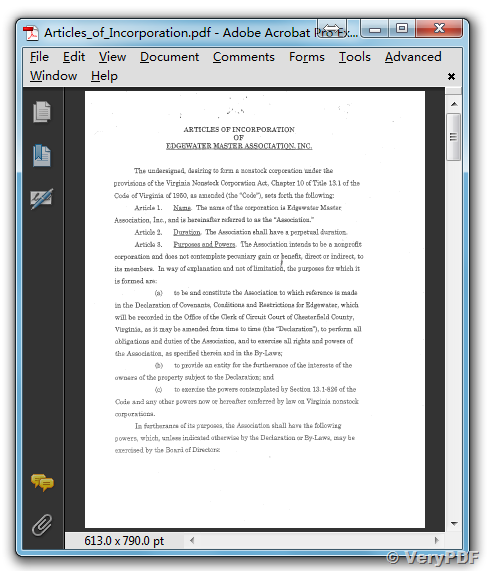 When I convert the attached pdf file with the Pdf2Doc converter, I get the attached doc file. I thought this product converted the pdf file to a doc file with editable text. Did I purchase the correct product? 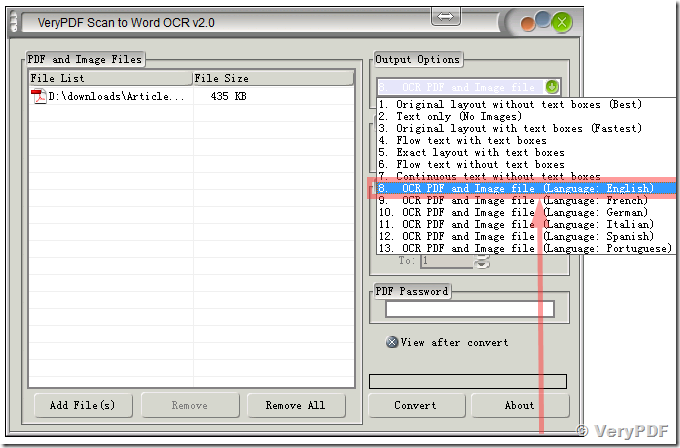 We have checked your PDF file, your PDF file is contain a picture only, it seems this PDF file was created from scanner. You can select "8. 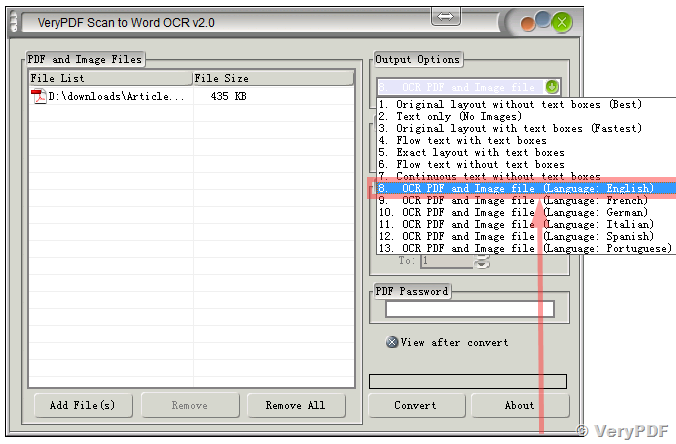 OCR PDF and Image file (Language: English)" option to convert this PDF file to editable Word document properly. 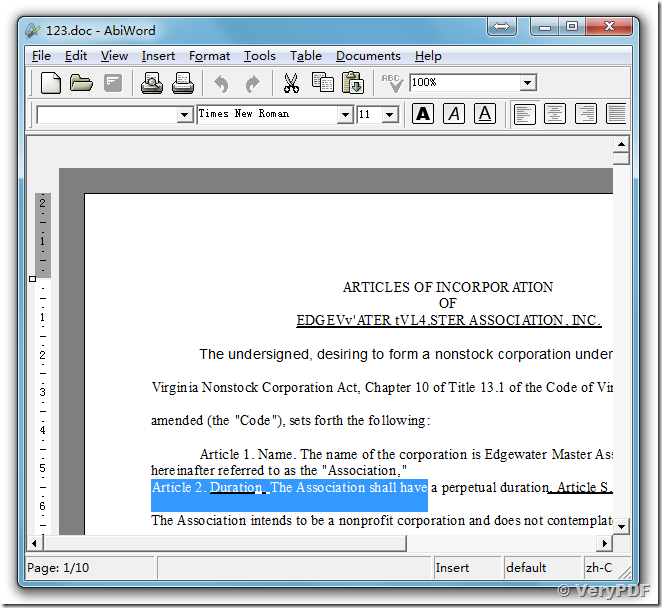 "VeryPDF Scan to Word OCR Converter" is USD79.95 per license, you can pay price difference to upgrade from PDF2Word to "VeryPDF Scan to Word OCR Converter", if you wish upgrade it now, please feel free to let us know. This entry was posted in PDF to Word Converter, PDF to Word OCR Converter and tagged PDF to Word, PDF to Word OCR, scan to word OCR. Bookmark the permalink.